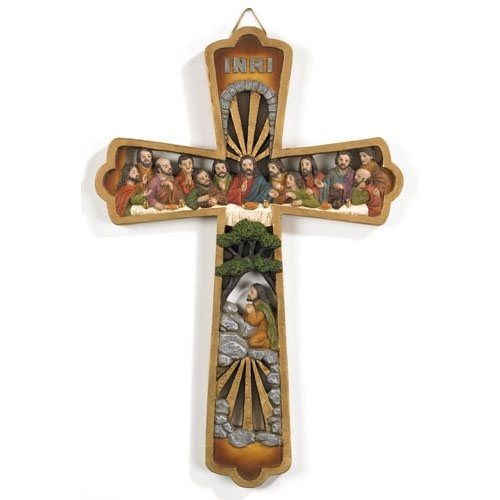 This Last Supper wall cross simply depicts the final meal Jesus had with His disciples on the eve of His Crucifixion. Comes complete with a triangle hanger for ease in placing on a wall. Makes a perfect gift during the Lent/Easter season.